When operating events one thing that is at the top of the list of importance is the toilets. Getting the toilet provision wrong can be devastating to an event and can turn an otherwise brilliant offering into a torrent of negative reviews. The toilets are crucial at the event and it is important to get them right at all costs. For this to happen you need to be able to rely on fast and reliable facility hire delivery. 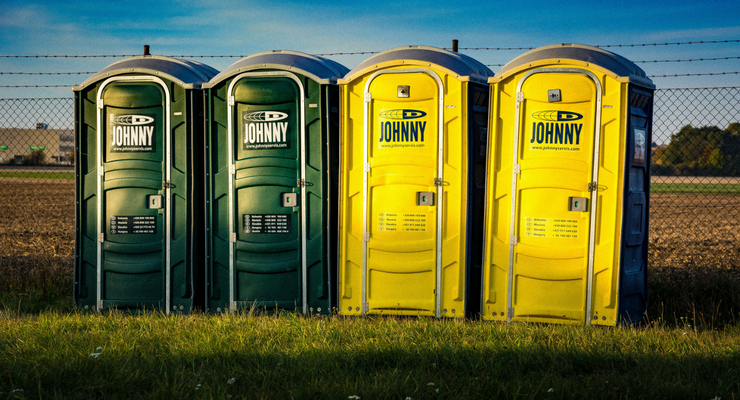 Here we explore the importance of toilet delivery for events. Fundamentally toilets are a basic provision that you need to be offered to attendees at an event. Failing to offer a reasonable standard of toilet facilities will open you up to attack and will at the most basic level ruin the experience for individuals who are attending your event. You need to provide the correct volume of toilets and they need to be in place in advance of the arrival of attendees so that you can ensure they are properly prepared. The preparation of toilets for an event can actually be very time-consuming. You will need to create fencing around the urinals, for example, so that you can screen them from the outside. Failure to do so will make the event far less family friendly and will leave attendees dissatisfied. It takes time to put up the signage around the toilets and create systems that make them more effective at processing people through, so you need to get your toilets set up in plenty of time to do this. Fast and reliable facility hire delivery is vital to ensuring that you have the toilets you need in time to prepare them. For some events, the attendance may be variable depending on the weather or on the number of people who show up on the day. This can make toilet provision very difficult for hosts as they won’t want to overspend on providing toilets only to find that not enough people attend anyway. This is where a fast and reliable facility hire delivery company comes into its own. If you can rely on toilets being delivered efficiently in a short window then you can hold off on placing the order until you know that you will have the number to justify the toilets. For many events, there may also be challenges with restricted access that need to be managed. If you are unable to access a site until the morning of the event, which is sometimes the case, then facility delivery will need to fall into a very small time window. With the rigours of event management pulling in all directions, you need to be able to rely on the delivery of toilets being fast and reliable every time. Only with this level of trust that your facilities will be on time can you hope to operate a quick turnaround on an event site to get the toilets in and get everything set up in time. An event cannot run without toilets and if anything goes wrong to prevent the delivery of toilets then you will be left scrambling to resolve the issue at the last minute. In such a case you will be left paying over the odds for a service that will be unlikely to meet your requirements. Being able to rely on fast and efficient delivery of facilities to your event is essential in event management and should be one of the first and most fundamental aspects that you arrange.